The Belmore Centre began in November 1992 occupying the original Belmore Hotel building until April 1999, when the Centre moved to the Ranch House, Lower Road Stoke Mandeville. We pride ourselves on developing new concepts and ideas for future health and skin care education and making a difference to people’s lives. Our growth has occurred in large part because of our dedicated employees and therapists. The Belmore Centre is a Health and Beauty Centre where we combine treatments so that clients not only look better, but feel better too. We offer a unique combination of treatments for the mind, body and spirit. The emphasis at The Belmore Centre is on developing our clients awareness of the alternative therapies available. We hope this will enable them to live life in a balanced way and equip them to cope with modern day stresses. The Belmore Centre is about a new era in professional health and beauty care. It is made up of highly motivated and forward thinking people, who believe in a new approach to our profession. Staff members help create an exciting place to work, and it takes each one of us to make sure this happens. You will find the people in our organisation are friendly and that a pleasant atmosphere exists here. There is a willingness to give and take, to look at the others point of view and to apply common sense, good judgement and honesty towards whatever problems arise in our day to day work. 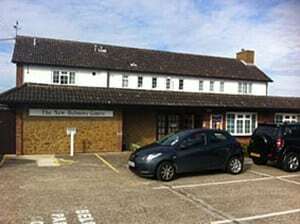 The Belmore Centre is situated in Stoke Mandeville on the A4010 with free ample parking and disabled access. We are situated close to bus stops and a short distance from the railway station. Click here for map. The Belmore Centre comprises of 6 Beauty Therapy Rooms, 3 Rooms used by Visiting Practitioners, a Large Waiting Area, a Sunbed Room, The Cutting Room Hairdressers and a Yoga and Pilates Studio; which is run by Julie Pedrick, Bodyworks Pilates. The Reception which is looked after by a team of friendly receptionists is staffed 7 days a week during opening hours.